If you would like to Pre-Pay, click on link at bottom! This is a terrific opportunity to find out how you can improve your social media marketing and help grow your business! Michelle will cover outlets such as Instagram, Pinterest, and Twitter, among the many other marketing outlets out there. About Michelle: The communication power of Social Media has changed the way businesses are marketed and Michelle Barone is on the cutting edge, maximizing all the various outlets from Facebook to YouTube, and Vine to Pinterest. The industry is always evolving and Michelle is constantly mastering it in order to produce optimum results for her clients. 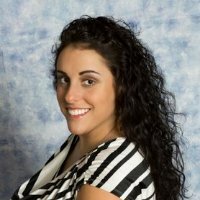 Born and raised in Poughkeepsie, Michelle attended college at Marist graduating with a Bachelor’s degree in Business Administration with a concentration in Marketing. “Keeping it Local” is more than just a slogan for Michelle, it is how she lives. Don’t miss this valuable meeting!